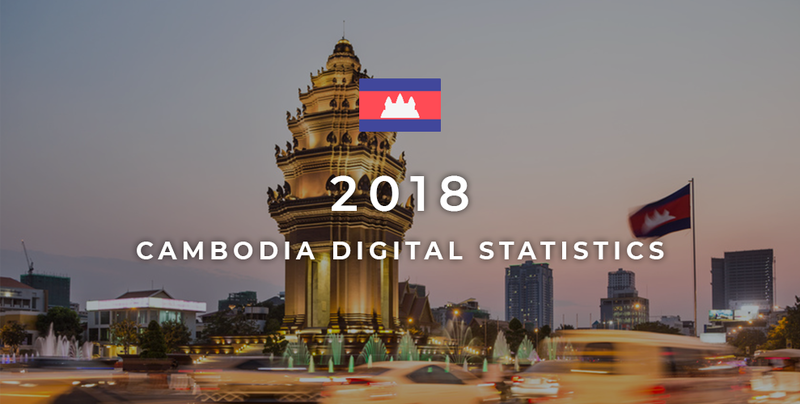 Be it through the Internet, social media or mobile connectivity, we have seen how Cambodia has been becoming more acquainted with the digital sphere for the past 3 years. In particular, Facebook has been one of the most ubiquitous social media platforms amongst the locals with over 6.8 million users, a significant increase from 2017’s 4.8 million users. Having its fair share of milestones, the social sharing platform hit 2 billion users in early 2017 and recorded growing revenues in almost every quarter. However, this 2018 marks Facebook’s most notable changes in the last 3 years – Going back to the basics. With that, Facebook users can expect more change in several aspects to improve their experience on the popular platform this year. Balance is of the essence when it comes to increasing meaningful interactions between users. In the hopes of spurring more worthwhile human connections, Facebook has been putting forth different initiatives to declutter news feeds and supply more family and friend-focused content. An example is the testing of the Facebook Explore Feed, which was unrolled earlier in 2017 in 6 countries; namely Guatemala, Serbia, Slovakia, Sri Lanka, Bolivia and right here in the Kingdom. This feed aimed to create two separate spaces for both personal and public content, so as to combat the bane of social media clutter. Besides this, Facebook has been working hard on tweaking their algorithms to deliver better and more accurate news on their Trending page. Early this year, Facebook users in the same region noticed similar topics appearing in their feeds, effectively replacing the prior “personalised” content delivery that was based on individual interests. Now, Facebook employs algorithms that rely on tracking publisher activity, such as how many of them are covering the same events and topics, instead of just depending on clicks and shares for individual articles to heighten accuracy and deter fake news. On the other hand, though Facebook users are king now, brands and businesses will not be missing out completely on the benefits of the Facebook shift; especially with the rise of chatbots and artificial intelligence (AI). As predicted by Facebook Messenger Vice President David Marcus, he believes that more businesses will transition at least some of their customer service resources to Messenger this 2018. This seems like a likely near future, given that Facebook has already worked with small businesses and global brands to create more than 200,000 bots for Messenger in 2017 and a recent study commissioned by Facebook revealed that 56% of people surveyed would rather message a business than call customer service and 67% expect to message businesses even more over the next 2 years. On top of that, Facebook has already unveiled its very own AI Messenger Assistant, ‘M’, in the USA. This bot helps to offer relevant suggestions to user’s conversations and even converses in both English and Spanish. Though Facebook has not confirmed it yet, plans to add more AI suggestions to ‘M’ and global expansion of the function are said to be in the talks. 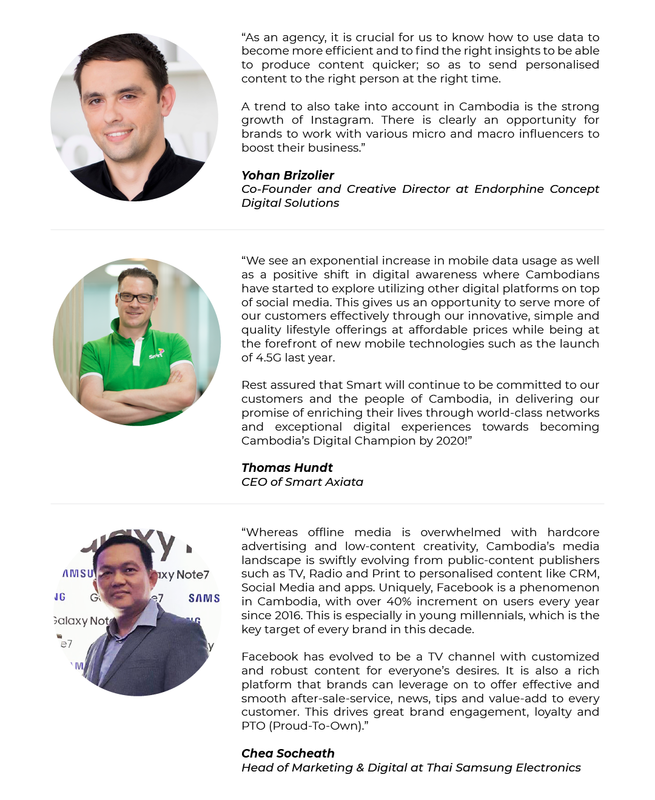 With all this information as a basis for what the digital scene has to offer currently, have a look at the infographic below, accompanied by quotes from key industry players to explore how Cambodia’s digital ecosystem might grow in the years to come and how it can affect a wide range of industries.